You will see a majority of people loading up their expensive bikes on truck beds, or strap them on the top of the roof of their cars. Paint coming off both your car and bike is inevitable as they scratch and hit against each other. On bumpy roads, the noise produced from your bike bouncing and knocking your car or truck will be uncomfortably unbearable, and the chances of someone just stealing your bike from your truck bed are high. Luckily, we have a solution to your troubles. 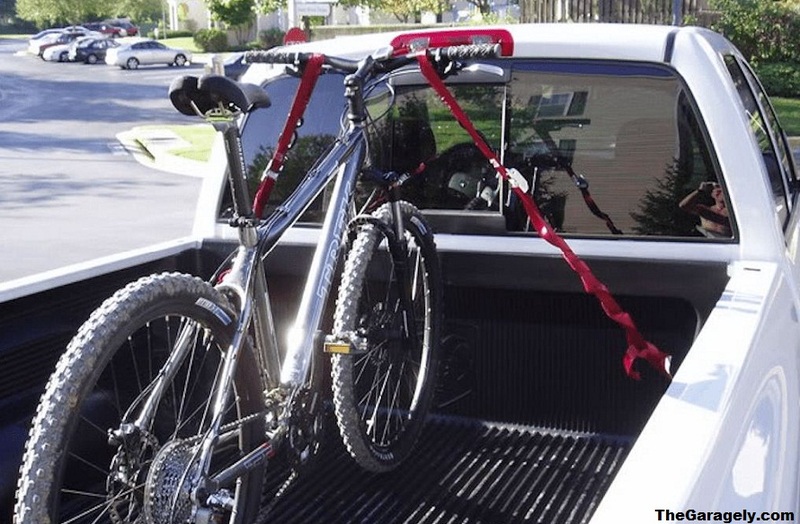 With a bike rack, loading up your bike on the truck is easy, it reduces the chances of your bike getting stolen as the bikes are secured firmly on the frames, and if you love speed, you can always hit the gas as you want without hearing a sound from the back of your truck. Whether going solo or with a couple of friends on a bike camping trip, looking for better trails or taking your truck to work but use the bike to lunch, then a bike rack will come in handy, and basically, a must have truck bed accessory. Remember the number of bikes it can hold depends on the model you choose. Now that we are done with the easy part which was helping you find out that there is a solution to your troubles, the hardest part is usually finding the best truck bed bike rack out there. Testing them out in full may be a rather expensive and time-consuming undertaking for you, that’s why our team is there for you. We did our testing and research, and based on factors like price, installation, capacity, features, size, durability and user experience with various bike racks, these are without a doubt the cheap bike racks in production. In this article, you will find their reviews, a buying guide, installation steps, and their benefits. If you are looking to get out of town on a bike trip to experience nature and exercise with your bike, then the Heininger Automotive 2025 Advantage should be your number one choice. The rack can hold up to four bikes of any size or style without having to remove your bike’s front wheel. Meaning it will come handy when accompanied by a larger group with bikes to your trip. Setting up the rack is easy you merely lock and fit parts together, and it perfectly fits in full and compact-sized truck bed without even using the spacers that come with it. The racks may also be used as floor racks in your garage or porch for holding your bikes. Considering that it’s also reasonably priced, compatible with most truck beds and serves multiple purposes, I recommend you get one and remember one is enough for a whole family and more cost-effective pick. Takes up to four bicycles without having to remove the bikes front wheels. Also serves the purpose of a standalone bike rack. The rack comes with soft padding that protects your bikes finish and truck’s paint from scratching. Easy and quick installation of the rack with just your bare hands. Extends from 54.5″-66.5″ without the spacer and 60.5″-72.5″ with full sized spacer included. If you are looking for a truck bike rack that is easy to set and secure your bike leaving enough space for other cargo, then the Inno Velo Gripper Truck Bed Bike Rack will without disappointment meet your demands. The bike rack can easily be mounted on your truck’s rail system and can be removed quickly in case you need to use the bike or run your vehicle through a car wash with an automated system. The rack also gives your bike a solid grip ensuring it remains stable on your truck bed even when you are at high a speed. Depending on your size and the size of your truck and bike, sometimes you don’t have to drop the truck’s tailgate or climb in, you only have to lift your bike and secure it on the rail system. Since your bicycle remains clamped on one side of your truck, you remain with plenty of room for other cargo. It’s also worth remembering that they come in pairs which means you may decide to use one mount on your bike and use the other to secure heavy luggage that may slide or move around your truck. The features, versatility, sturdiness, ease of use and set-up and capabilities displayed by the Inno Velo Gripper, make it an excellent option. Some Highlighted Features of INNO Velo Gripper. Doesn't require removal of the front bike tire. Works with all sizes and types of bikes. No drilling of holes or tools required during set-up. Includes D-ring used in the event you want to use tie-down straps. This mount is specially designed to allow quick and easy fitting and takes an average of about two saving you time when you are in a hurry. Additionally, whether your truck has or doesn't have bed liners, they can still be used. The mount can haul up to four bikes, and made in such a way that it can accommodate any bike wheel size or type eliminating the need to remove the front bike's tires, at the same time ensuring that the secured wheel won't have problems with its braking system. Bikes don't get to touch each other, hence no scratching. Bed liners are not a must have-works with or without them. Fits on virtually all pick-up trucks. Mounts in about two minutes. The system holds up to four bikes. In the bicycle industry, Swagman has earned a loved and trusted name through durability, quality and the level of innovation evident in their products. The Swagman Bicycle Carriers are no exception and value for your money is a guarantee. The rack system is designed to fit on any truck, but depending on its size, you are provided with a simple adjustment handle to deliver perfect fits. The mount's ends are made of rubber to ensure your truck's paint doesn't come off or scratch. With the help of the Allen key supplied with the rack system, installation is nothing but a walk in the park. After successful installation, traveling along with your bike on the mounts even at highway speeds won't cause any problems. It's a cool way to go together with your bike, and I highly recommend this bike carriers system however be sure to remember to take your bike off before you pull into the garage especially if its height is relatively short to avoid hitting them. Its steel made hence sturdy and durable. The telescopic bar enables easy adjustments to fit any track size. Rubber at the ends of the mounts offers a firm and tight grip averting damages during transit. Fork-mount blocks hold your bike in position. You have seen the lousy situation people put their bikes in when they load them on the trucks or on top of their cars. In most cases, the vehicle and the bike are prone to the paint pilling off. On bumpy roads, your bikes knock against each other and even the truck producing unbearable sound. Chances of someone stealing your bikes are very high. This is where pipeline Racks Truck Bed Bike Rack comes in handy. This bike rack is very easy to load onto your truck. Another advantage is that the rack can accommodate up to four bikes without having to remove the front wheels. The different sizes of wheels range from Ft.75 to 25.5 inches. When you-you install Pipeline Racks Truck Bed Bike Rack on your truck, be sure to speed as much as you can, and you won't hear the unbearable sound and the paint of both bikes and truck will remain intact. You do not need to drill holes in the truck for it is effortless to install the rack all you need is a truck bed space of at least 59 inches. The rack can also be used in the house to strap your bikes securely. So, depending on the type of car you drive, budget, number of bikes and many factors, will always dictate or enable to buy the ideal bike rack. We will focus on truck bed bike carriers. When you drive a pick-up, the truck bed space is generally bigger compared to most vehicles. A bike rack, in this case, can accommodate one or more bikes-space is not limited. Most bike racks in this category are easy to install and come with various advantages that you will see later in the article. However, I advise that you get a bike rack that will prevent your bicycles from knocking each other during transit and one that perfectly fits in your truck bed. But what should you consider before buying a truck bed bike carriers? Read on to find out. With so many manufacturers, different sizes, types among other factors, the prices of various racks as expected, differ. It is paramount that you settle for a product that won't hurt your pockets, but that doesn't mean you put price over quality. After spotting the rack that you want, if it's expensive, consider saving for a while or borrowing or check for outlets that accept slow payments. The number of bikes that a rake can accommodate is a vital point to put into consideration. 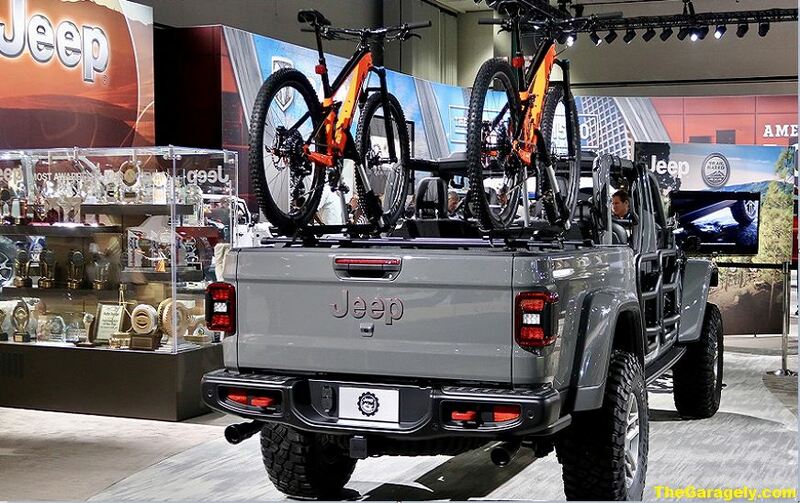 If you are in the company of several friends or family members more often, then you will need a rack that can haul the number of bikes your truck can accommodate. Some racks other than supporting your bikes during transportation, and as we found out in some, can be used or improvised to serve additional purposes when they are not in use. Whether it's to hold your bikes in your garage when they are not in use or prevent heavy luggage in the truck bed from sliding around, that's a plus on such products. Among the factors we also put into consideration to come up with the best truck bed bike racks, is the manufacturer's reputation. Some are known to cut corners in their production, or famous for substandard products, and you should always be keen to avoid such. With aspects like quality and durability compromised, value for your money gets ultimately lost with such products. Racks secure bikes by either locking themselves onto the bikes or clamping on your truck then securing onto bikes. Racks that only lock themselves onto the bikes solely are less secure as a thief will utterly grab your bike together with the mount. Since you may leave your bikes out for stopovers during trips, racks that have a strong and impenetrable locking system will ensure your bike's safety. How often you expect to use the racks should also be factored in before you settle for one. If it is a one-time thing, then go for the cheapest available, but if the mount will be in constant use, don't pay for less than the best. Getting a rack that doesn’t suit or meet your outdoor or sports needs. Going for a rack that is cheaper overlooking safety concerns. Buying the wrong rack design incompatible with your vehicle. Buying a rack that can’t accommodate all your bicycles. I advise that when you are shopping for a rack, never should you sacrifice quality, durability, and safety for a lower price. Information in the guide will assist you when buying them, and I am confident you will find the right one for you. Most bike racks are simple to set up, and you can install the frames without seeking assistance from anyone. However, to eliminate the chances of scratching your vehicle or damaging the paint, we advise that you seek help from someone. All bike racks come with a manual that shows the approach used when installing them. Go through them to have an insight. Keep your rack and vehicle clean especially on the points of contact-this will ensure that no dust or dirt may mess up with your truck's bodywork. To boost your security, ensure there is an extra cable lock around your rack and bikes. You should be aware of your bike carriers load capacity and stick to it that you don't go beyond the limit. Exceeding the limit may damage your rack, bicycle or vehicle. After installation, especially on some racks that suspend the bike a bit too high from your vehicle, be wary not to hit entrances, trees or low-level bridges. It's good practice to check the mountings after distances of say 50km to ensure that they are still firm and tight. In case you find the installation process too hard to tackle, no need to worry as you can always locate a professional or mechanic to do the installation as by your wishes. With a well-installed bike rack, your vehicle, bicycle and the mount itself won't face any safety or damage issues and will last longer. Cruising on rough and steep terrains will no longer be a challenge. They provide you with smoother transportation of your bike without compromising your vehicle or bike's safety. 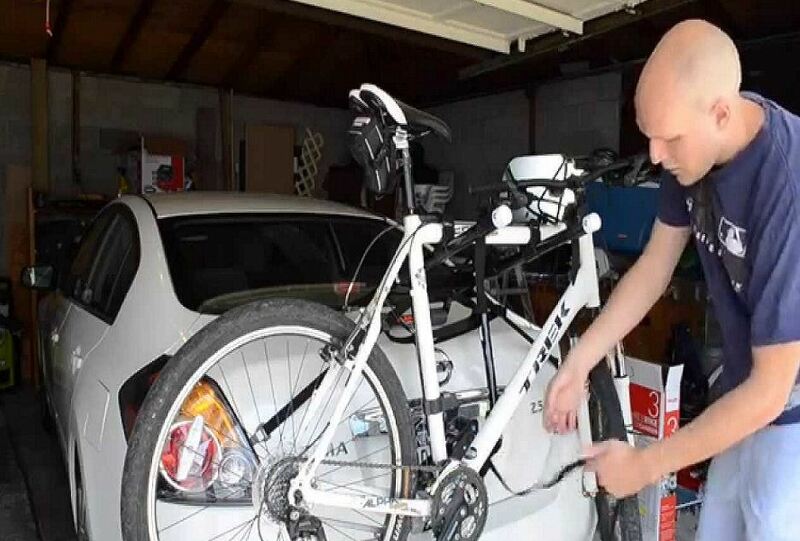 Most bike carriers can serve multiple tasks with some serving as bike racks in your garage. Racks provide your bike's safety against theft when you are not near the vehicle as they lock against the car. Additionally, they protect your truck and bicycle from scratching hence their bodywork remain intact. Some bike rack models can bundle together several bikes enabling you to travel and have fun with multiple people. The trunk bed bike racks are the easiest to install among bike racks thus you won't face trouble fitting them. With the proper choice of bike racks like the ones covered here, they provide to your hard earned money, as they are durable and sturdily built to withstand extreme weathers. Most truck bed racks don't need specialized tools to install, and you are not obliged to remove the bike's front wheels to transport them. They can be installed on any truck regardless of its size, make or origin. With most racks, you can adjust and re-position your bikes, in the event you need to create room for extra luggage. Finding the right bike rack for you may be equivalent to finding a needle in a haystack considering a large number of manufacturers and models available. The good news is we managed to separate the good from the bad to come up with the best truck bed bike racks in the industry as of now. Among our top-ranked models, you will see that some have lower capacities than others but, depending on the company you ride along with, I am positive that you will find one that suits. Go ahead and try these products and I promise you, your outdoor experience will never be the same again. Enjoy great sceneries and trails, without having to worry about your truck's bodywork, your bike's safety against theft and the rack's durability and sturdiness. Always remember, quality is king.